#GetPT1st PT PSA: Does Weather Affect Low Back Pain? It's June 1st, and other than summer coming right up, it's another #GetPT1st PT advocacy day! 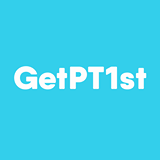 Please take the time to share this post, and others using the #GetPT1st hashtag. Does Weather Affect Low Back Pain?